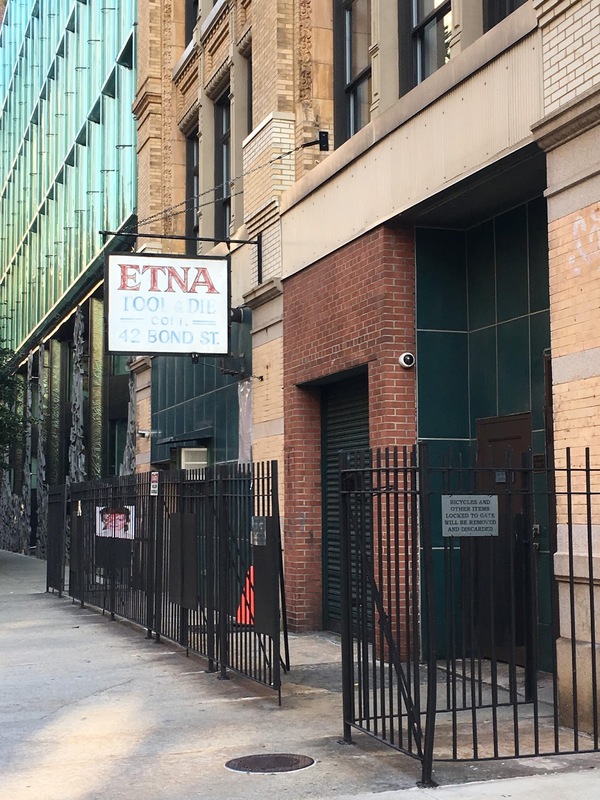 I was fascinated to learn the history of Etna Tool & Die at 42 Bond Street, a building that I walk by fairly often on Bond Street on my way from point A to point B. Bond Street is a charming street lined with restaurants (Fish Cheeks, anyone? ), shops like Dashwood Books, boutiques like lululemon's lab - and quite a few high-end condominium buildings. While the street may still be paved with cobblestone, the neighborhood has transformed from its light industry since the founding of Etna Tool & Die back in 1945 by James Galuppo. clock. Both learned English through working at Etna. James Galuppo passed away in December 2018, leaving the Etna Tool & Die building at 42 Bond Street to his daughter, Flavia Galuppo. She's made a commitment to preserve the structure and respect her father's love for the neighborhood and legacy, even though it's costing her millions upon millions of dollars. It's so moving to hear this story of a city that has changed so much and of a promise being honored.